Fun recipies for the whole family to enjoy! In the first bowl mix the cream cheese and sugar until it becomes smooth. Then add in the flour, vanilla, eggs, and evaporated milk and mix it until it becomes creamy. Set it aside. In the second bowl mix all of the crust ingredients, making sure to crush the crackers really well. Pour contents of second bowl into cheesecake pan, press down really well, then pour contents of first pan on-top. 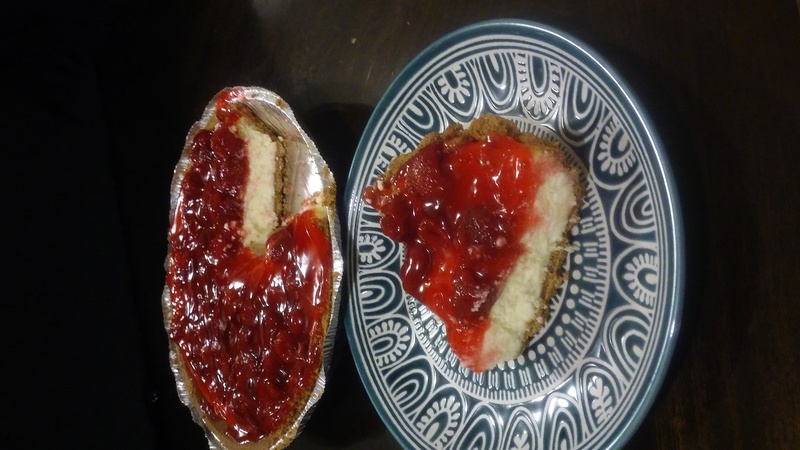 Place cheesecake pan on a baking sheet and place in the oven for 35 minutes or until it barely moves when shaken, remove from oven, place on cookie sheet to cool for 45 minutes. Pour pie filling over the top of cheesecake; evenly, refrigerate for 2 hours.